I take charge of my golden years and pention now with a simple, trustworthy business. DXN, the company has been operating for 25 years and my favorite product, the alkaline medicinal mushroom coffee does not need any explanation, special presentation or sales skills. I do the biz online with the free pro websites with webshop. 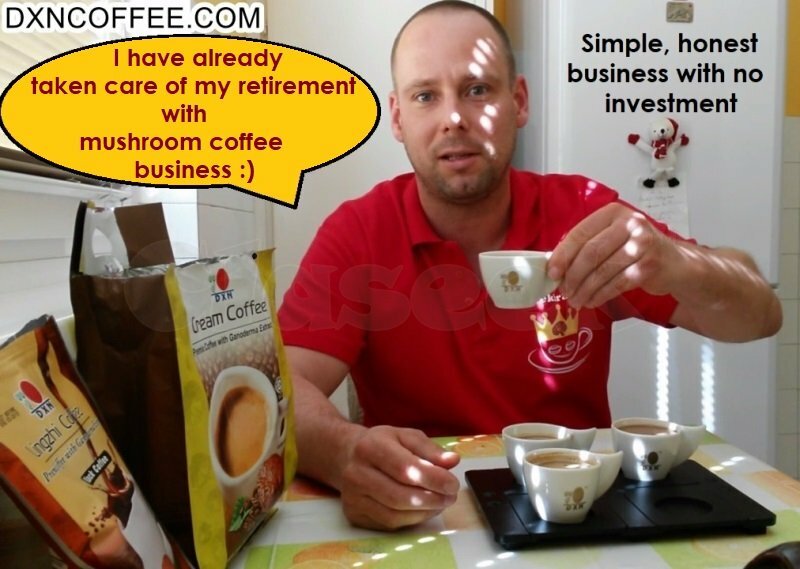 This Ganoderma coffee business does not require investment from me and there is no obligation either. I order whenever, what and as much products I want. This is no get-rich scheme. It requires work with the benefit of a stabile, pension-like passive income in a few years.